Upload the MSI and MST files to Azure Blob Storage. Create a PowerShell script for each VM where you will install an agent. This script will run on each VM when launched, to download and deploy the agent. 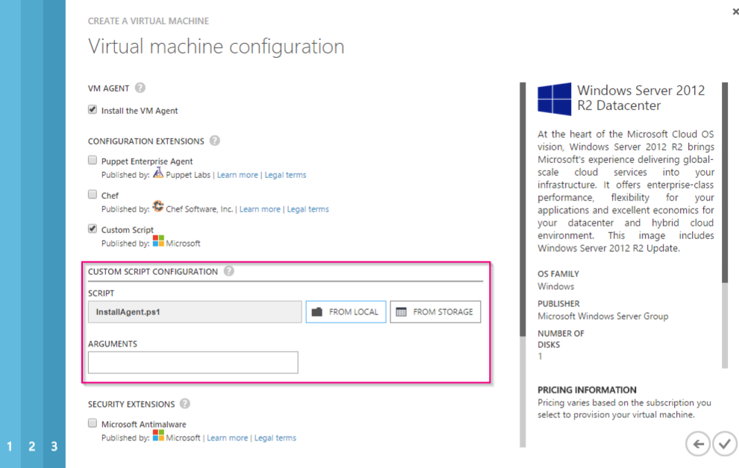 In the Microsoft Azure portal, use the Create a Virtual Machine wizard to add the PowerShell script to each VM on the Virtual machine configuration page. This step can also be accomplished via the Azure Management REST API command line interface.